Join us Saturday, August 11, for a 3-course sustainable seafood dinner with Paul Greenberg and Locals Seafood celebrating Paul’s new book, The Omega Principle: Seafood and the Quest for a Long Life and a Healthier Planet. In this book, Greenberg charts the history of Omega-3 fatty acids while questioning their rise to popularity as a miracle supplement. 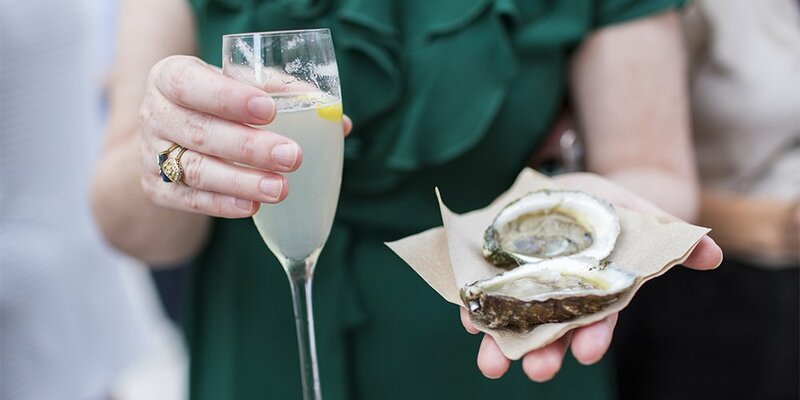 Guest chef, Eric Montagne, from Locals Oyster Bar will be hosting a Carolina raw bar on the patio, with oyster shucking demos. While gin spritzes, sparkling wine, and local beers will flow from the bar. Then, enjoy a family-style NC seafood dinner from the kitchen. Paul Greenberg is the New York Times bestselling author of Four Fish, American Catch, and The Omega Principle. A regular contributor to the Times and many other publications, Mr. Greenberg is the winner of a James Beard Award for Writing and Literature. Over the past 8 years, Locals Seafood has established their commitment to seafood traceability and the development of localized food networks. They currently supply quality North Carolina seafood to 60+ restaurants in the Triangle. Locals Seafood Market & Oyster Bar, led by chef Eric Montagne, will open at Transfer Company Food Hall in Raleigh later this year. Paul’s books, including The Omega Principle, American Catch and Four Fish, will be available for purchase courtesy of The Regulator Bookshop.